You can create a great tote bag from a jeans skirt that will be very useful when you need a place to carry those extra things that just won’t fit into your purse. Take advantage of the pockets on the skirt to stow those little items you don’t want to lose in the bottom of the bag. The list of items you will need is very small. Shop the second-hand stores or search your closet for an old jeans skirt. 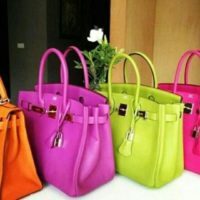 One with deep, working pockets makes the best tote bag because you will have places to put phone, keys, glasses, etc. on the outside of the bag. You will have to decide how deep you want the bag to be. If you are going to carry books or groceries, make sure you get a skirt that is long enough to give you the depth you need. How Much Do You Want to Carry in this Tote Bag? 1. Measure from the waistband down to determine how deep you want the bag to be. 14” to 16” is a good depth but you can make it any size you like. Be sure to leave enough fabric for the handles when you cut it off or be prepared to make them out of another fabric. 2. Once you have the bottom of the skirt cut off, turn the skirt inside out. Hold the skirt with the sides of the skirt at the sides. Hold the front and back panels together and pin them before sewing them together. Run a stitch across the bottom of the skirt and then run another line of stitching next to it to insure a strong seam. 3. To create a flat bottom, pinch the sides of the bag at the bottom seam and then run a stitch across about 2 inches from the bottom seam. This will form a little triangle shape at the bottom of the bag, which will form a bottom for your bag when you turn it right side out. You don’t have to have a flat bottom, but it helps it to stand up when you are trying to fill it with articles. 1. Cut two strips from the bottom of the skirt 4” wide and about 25” long. 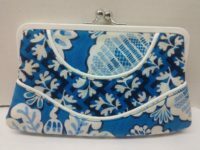 If you want to use a co-ordinating fabric for the handle, cut one strip from the skirt and another from another fabric. It will fit on your shoulder better if you taper the strips towards the center so the ends are about ½” wider than the center. 2. Iron a 5/8” seam allowance, on the long sides of the strips, turning the fabric towards the wrong side of the fabric. Place your strips, right sides together and pin them in place. 3. Sew from one end to the other, 1/8” in from the side. 4. Go back to the same end you started on and sew 1/8”in from the other side. Sewing both rows of stitching from the same end will prevent the fabric from buckling. 5. Fit it on your shoulder, and once you have your handle as long as you want it to be, fold the ends to the inside of the handle and pin them together. • Place the center of the end of the handle on the inside of your bag, exactly at the center point of one side. Pin in place. Repeat this on the other side of the bag. If you have a sewing machine that can sew through the waistband and the handle, do so in a square pattern to hold it securely. If you don’t have a heavy-duty sewing machine, sew it securely by hand. Your bag is done and ready to carry whatever you need it to! 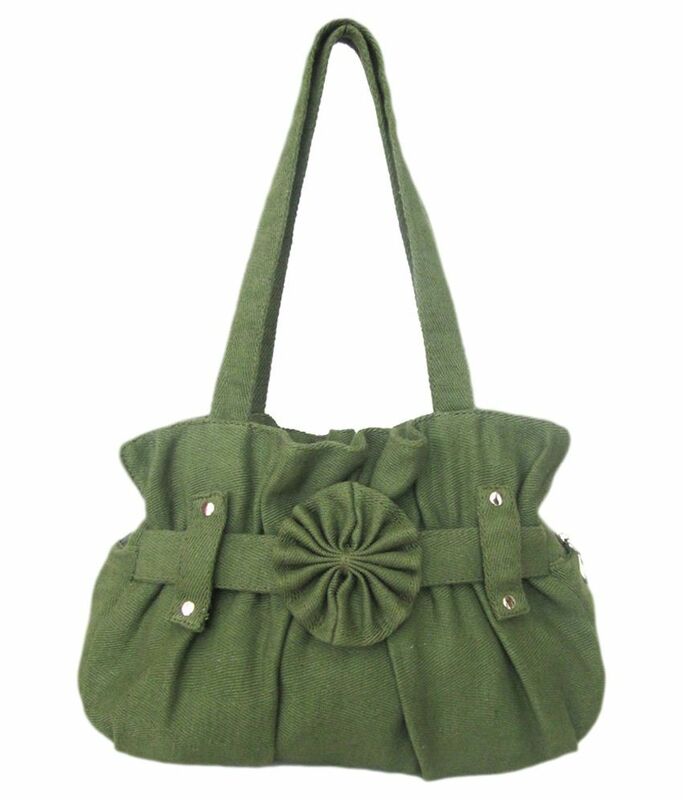 This shoulder bag is very durable and completely washable. Simply throw it into the washer on warm and then throw it into the drier on regular heat. Because it is washable, it makes a great diaper bag or drag around book bag. The advantage to using a jeans skirt is that you have pockets already built in without a lot of sewing so It looks like you did a lot of specialty stitching. 1.0.0.3 How Much Do You Want to Carry in this Tote Bag?